Mentor raises concerns over her confidential information - SABC News - Breaking news, special reports, world, business, sport coverage of all South African current events. Africa's news leader. Former ANC MP Vytjie Mentor. Former ANC MP Vytjie Mentor has raised concerns about her cellphone records being accessed by the Commission of Inquiry into State Capture. Mentor is back on the witness stand at the commission underway in Parktown in Johannesburg. She is expected to conclude her testimony, then she will be cross-examined by legal representatives of some people she has implicated in her evidence. Mentor has suggested to the commission that the legal team has been more concerned on protecting the confidentiality of Atul Gupta’s travel records than other people’s confidential information. She has stressed that her cellphone records are private and have nothing to do with the work of the commission. 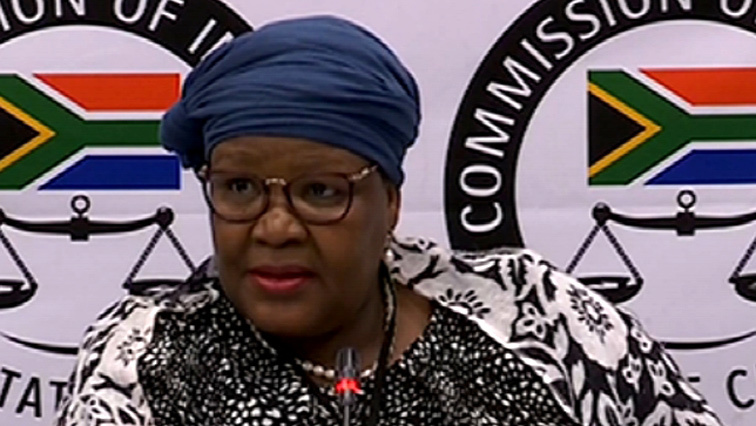 Earlier she has once again insisted to the commission that she flew to Johannesburg from Cape Town using South African Airways (SAA), despite records not showing so. Mentor has claimed in her testimony that she boarded an SAA plane from Cape Town to Johannesburg, during the said period and met with former President Jacob Zuma and the Gupta brothers. She has also testified that this was where she was offered a Ministerial post by one of the Gupta brothers. Mentor says despite SAA records showing that she didn’t board the plane, she used the services of SAA on the day. Evidence leader Advocate Mahlape Sello told Mentor that she also doesn’t appear on other airlines which were investigated. This entry was posted on 12 Feb 2019,12:01PM at 12:01 PM and is filed under Politics, Homepage Latest Stories Slider. You can follow any responses to this entry through the RSS 2.0 feed. Both comments and pings are currently closed.